Please Click to Enlarge for Optimal Viewing! 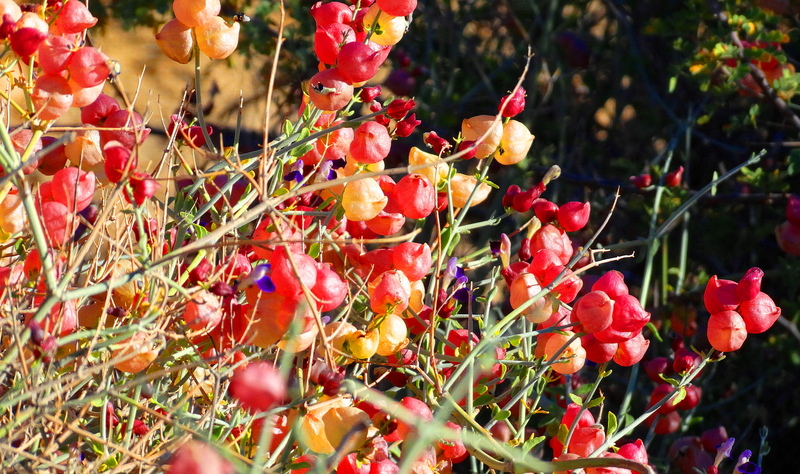 These are the air sacks and flowers of the unusual Paperbag Bush or Flower Sage. This beautiful plant creates multi-colored air sacks that contain nuts. Purple flowers extend from the air sacs creating a reamarkably beautiful sight! Please see this link for more info and this interesting plant. I do have more photos for those interested,. Dehydrated Prickly Pear Cactus, waiting for rain to come so they can engorge with water! The twisted shapes of The Joshua’s! Jumping Cholla cacti. They are called jumping because they easily detach when brushed and dig right on in! Ouch! 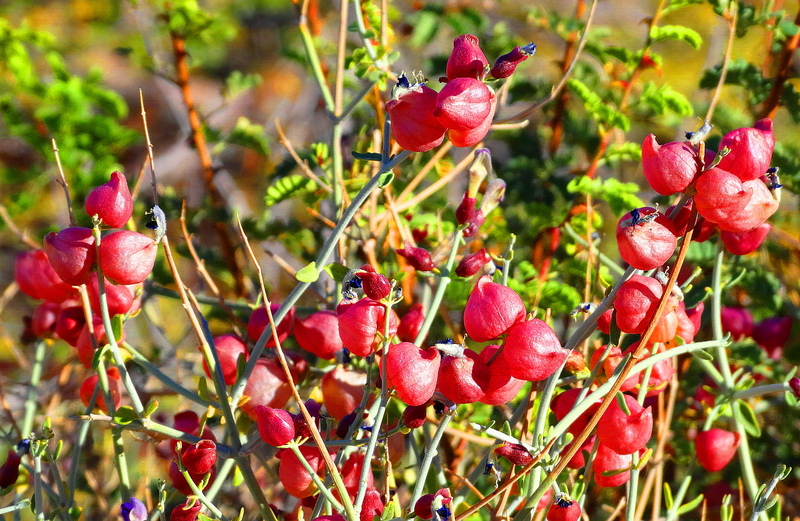 What beauty there is to behold in every season in the living desert! 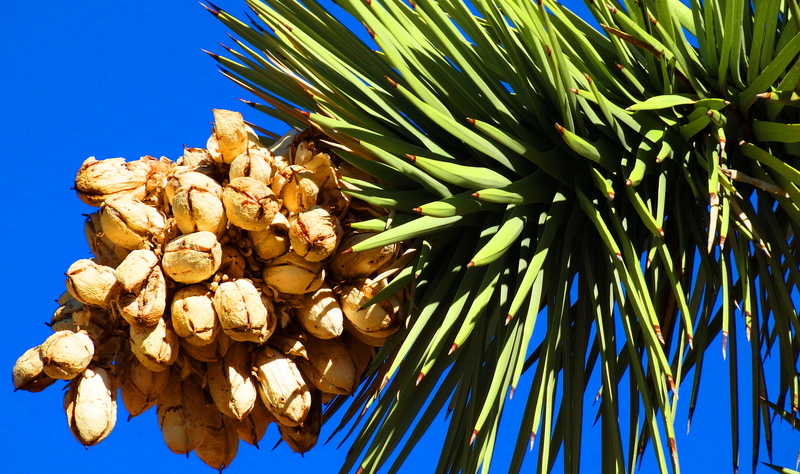 Cheers to you from Joshua Tree National Park and The Mojave Desert! Really nice my friend…all the photos, and I think the info you give is very interesting, but even more, everybody should get to know this! Have a great night…big hugs! Hugz & thank yous back 2 U! Amazing how these plants adapted to their environment, isn’t it? Indeed and thrive in shallow windows when there is H2O! Joshua tree national park is an interesting place to visit.. These photos are stunning! Thank you for sharing with all of us! thank you for appreciating them! How extraordinary Cindy … no wonder you were entranced! Cindy, such great pics of these amazing plants!! Thanks for sharing!! Gorgeous photos. The desert has a beauty all its own. Merci, in each season it has it’s own beauty! stunning and so distinctive from the East Coast! Awesome photos. Truly amazing how plants can thrive in such conditions. I have driven through them before, but never stopped to really look at them! Amazing aren’t they! Who knew there were hidden gems in a desert? Apparently they are everywhere!! Cheers to you ma deah! knowing you, your singing too!! bravo for you! So many wonders; love the name, paper bag bush. who said that? so many wonders to behold in our earth and skies……..YOU! Hugz to you. Hope to visit you! So beautiful. And I really appreciate your desciption about your pictures. It’s so interesting to read! Thank you! Of beautiful living things! Thank you so much for liking them. Dogs and cactus are a notoriously, comically-bad mix. Since I have lived in these parts, all my life, I know what you are talking about. Most of it is inconvenient and the dog learns faster then we do. 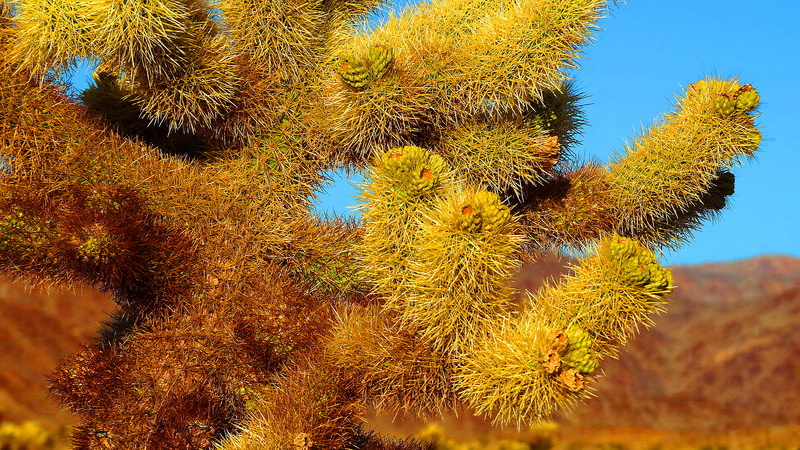 But there are some serious exceptions, the cholla is one to avoid, and far worse, but medicinally important, in the blue agave cactus, Remarkable plants. But you must have enough sense to teach your dog to avoid, now matter how tempting the rabbit is that ran into it is. The poison on the spears can kill a dog. Yet these plants are one of the few that prosper under extreme adverstiy. If you are dying of thirst in the desert, find one they will keep you alive. 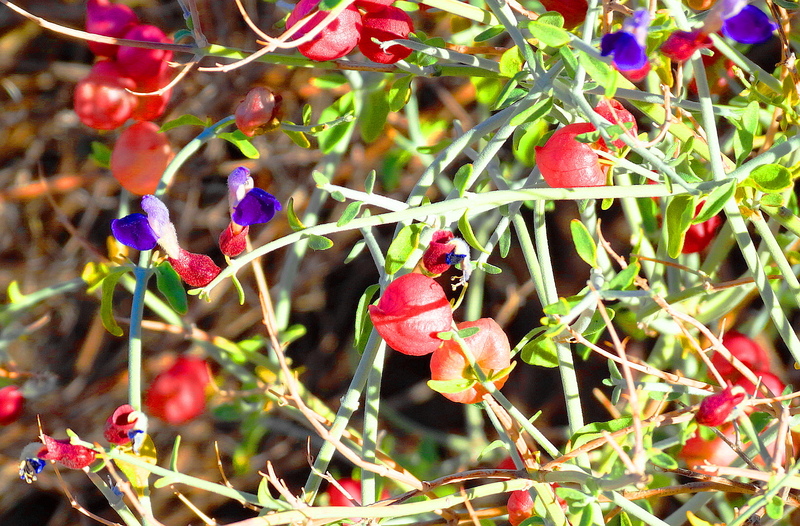 The colors of Flower sage are beautiful. 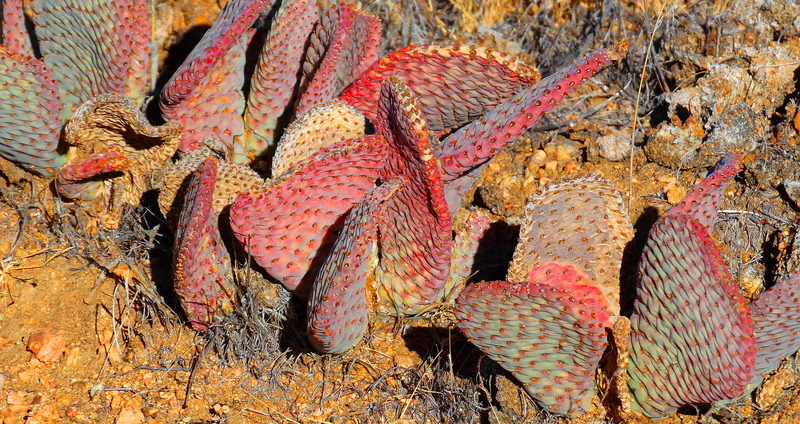 For some reason, the Dehydrated Prickly Pear Cactus look scary to me. It’s partly because I missed the optimal season.. I caught the colors of the flower sage slightly too late, the air sacks were about to burst, and the remaining purple flowers were withering. The prickly pear will live, you saw it in extremist, if it doesn’t get water soon, it will die.But it will.get water and it will survive. It is just a patient plant. But yes, life in such austerity, if rain doesn’t come, should be frightening, because we are not as resilient as plants. I am quite impressed you noticed this. The word “exotic” is an understatement. I love the last photo. The cactus looks so “warm”. It makes me wanna hug it, even though it is thorny. LOL! You are so wonderful Hari. What did I ever do right enough to meet you? Oh, such kind words, Cindy! Beautiful photo’s again! You amaze me with your talent! Well, what could possibly be more rewarding than meeting people like you? I can’t find you in the checkout lines. Thanks for sharing Cindy. Boy – – – are we glad you travel so much and take such great pictures. Boy, I am glad I met you! I think about you and your wife a lot. Wonder how you are both doing. The biggest lesson I have learned from life? Hi Cindy. We are both hanging in there (sometimes by our fingertips). Thanks for the pep talk. I needed it and it made me dig a little deeper. I am not doing much with writing or reading blogs but I keep an eye out for your great trips and photos, Ginger fight back’s crazy humor, A Daily Thought’s interesting videos, and one or two others. 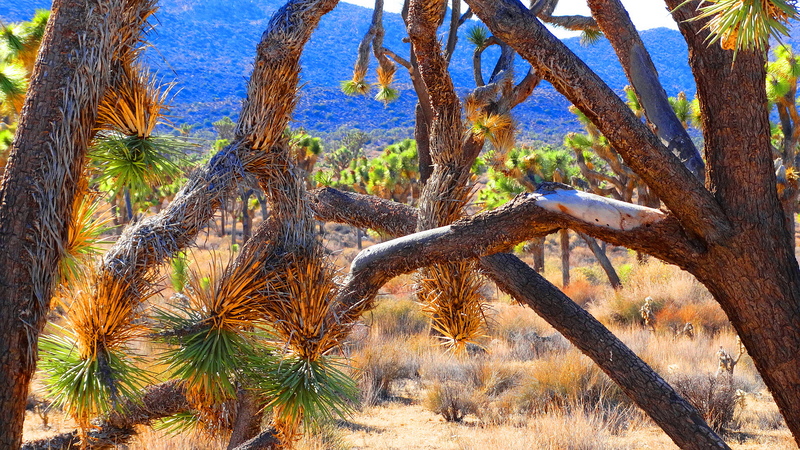 Beautiful…I always wanted to see a Joshua Tree. The interesting thing is how perfectly unique each one is. 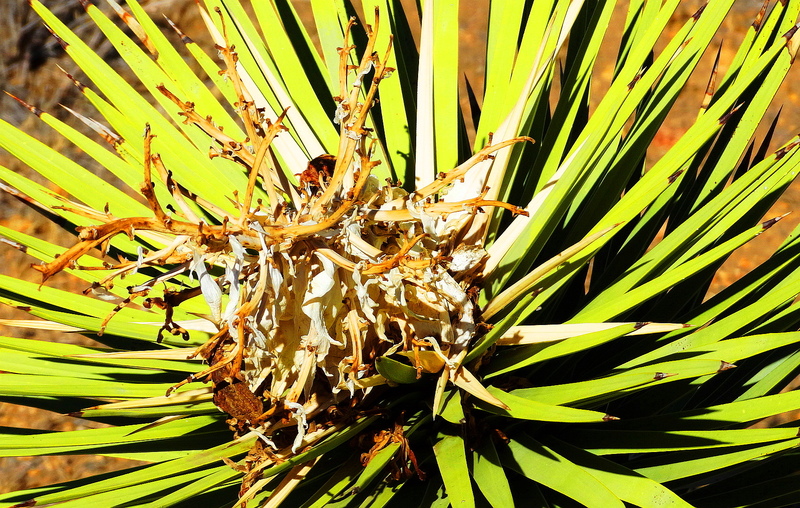 Nice variety showcased–I adore the desert and its spare essence. Have seen them all except the Flower Sage, which is captivating. Thanks for introducing it. The Paper bag Bush is really beautiful and how incredible is the Joshua Tree seed pods, I never saw such a tree 🙂 ! Just so strange aren’t they! So strange, they are beautiful! Cheers & great hearing from you my friend! Glad to hear from you ! OOOOOh!!! I am going to be at your blog. The NP’s are the most remarkable and wonderful places! I can never see enough of them! Well one can always move one day, as long as you wouldn’t miss all the beauty that comes with the snow and ice and lakes????? Yes the paperbag bush was a new plant for me! The cholla I know to steer clear of!! Oh good! I love traveling with you! I love it ! I get a free nature lesson every time you go somewhere! 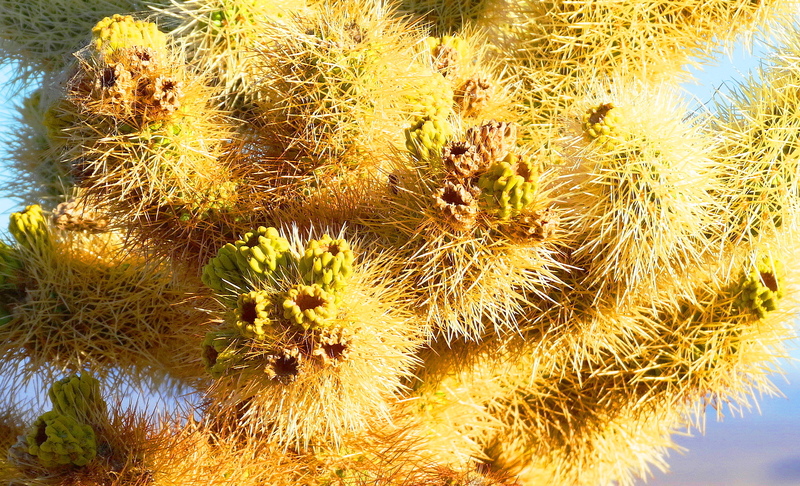 I knew about the prickly pear and the cholla, but had never seen the “paper bag bush”. Sorta strange and beautiful all in the same breath. Nice pics. So happy you think so!! Yes indeed! Remarkable resilience in a harsh environment! Stunning plants. That Prickly Pear was brought to Australia and used as a hedge that then went feral and became a terrible curse. It is now under control when they brought in an insect that would eat it. WOW!! What insect? People eat the prickly pears here. They are quite tasty!! Wow!! Australia has such a uniquely isolated eco-system. Introduced plants and animals (like rabbits and prickly pears) created such mayhem. Quite interesting. Thank you for the link! The paper bag bush is amazing! All your beautiful photos are still refreshing, inspiring… weeks or months later.